Morgan Freeman is undoubtedly one of the most beloved actors. The amazing actor, filmmaker, and director has played numerous award winning roles to hold his spot as one of Hollywood’s most celebrated actors. Freeman is known for his unique acting style, calming voice and for his love of nature. After learning about the steady decline in the bee population, Freeman decided to act upon the issue to save our planet. Bees are important for our survival since they carry out the process of pollination. Without them, it would prove difficult for us to survive on this planet. Within the past decade, the bee population has seen a steady decline. Between 2015 and 2016, the United States alone saw a 44% decrease in the bee population. Believe it or not, bees are disappearing at an alarming rate. While many organizations and caring citizens around the world are taking measures to help protect them, it doesn’t always work. For instance, one of the leading causes of bees disappearing are pesticides. Neonicotinoid pesticides commonly found in agricultural areas are hurting the bee population, as it is reducing their ability to reproduce. A study that examined honeybees in Canada, and another that looked at three bee species in the United Kingdom, Germany and Hungary, found that agrochemicals are playing a vital role in their disappearance. While several countries are facing a decline in bee population due to pesticides, others are facing colony collapse due to environmental damage that affects their ecosystem. 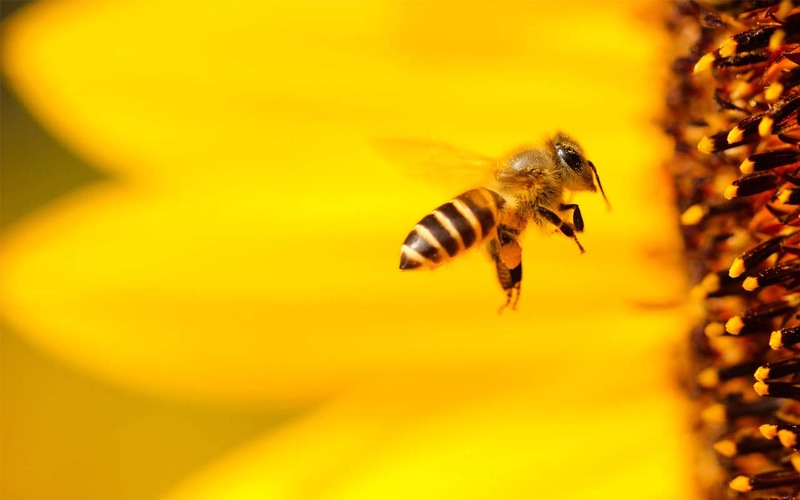 According to the National Resources Defense Council (NRDC), researchers are calling the mass disappearance ‘Colony Collapse Disorder’” and “the number of hives in the United States is now at its lowest point in the past 50 years”. In 2017, there were 2.67 million honey bee colonies in the US, decreasing from 2.78 million in the previous year. Despite their small size, the little critters play a vital role in keeping our environment healthy and are also responsible for pollinating crops to regulate food supply. According to the NRDC, bees are responsible for at least 30% of the world’s crops and 90% of wild plants. Without cross-pollination, apples, oranges, avocados, blueberries, broccoli, onions, almonds and so much more would perish. 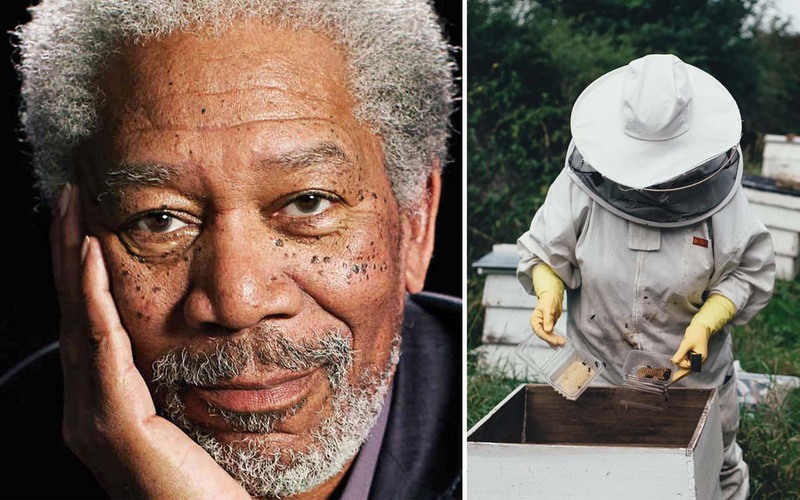 Morgan Freeman, who is now 81-years-old, took up beekeeping as a hobby in 2014. In 2014, Freeman converted his 124 acres of land in Mississippi into a bee sanctuary. He then exported 26 bee hives from Arkansas and planted acre upon acre of bee-attracting vegetation; including magnolia trees, lavender, and clover. One of the most interesting facts is that Freeman himself feeds the bees sugar water whenever he has some free time. According to him, he does not use any protective gear and to this day, none of the bees have stung him. Freeman believes that the bees understand his intentions and he never disrupts their hives. His goal is to help the bee population flourish and remove the tiny critters from the endangered list. In an interview in 2014, he told Jimmy Fallon on The Tonight Show, about his new hobby. During the interview, he explained that the hobby started just two weeks prior and gave an explanation as to why he does not use protective suits and glasses. According to Freeman, he resonates with the bees, so they know that he’s not a threat. Or, the bees are too relaxed when they listen to his voice! Morgan once called bees “the foundation of the growth of the planet”. 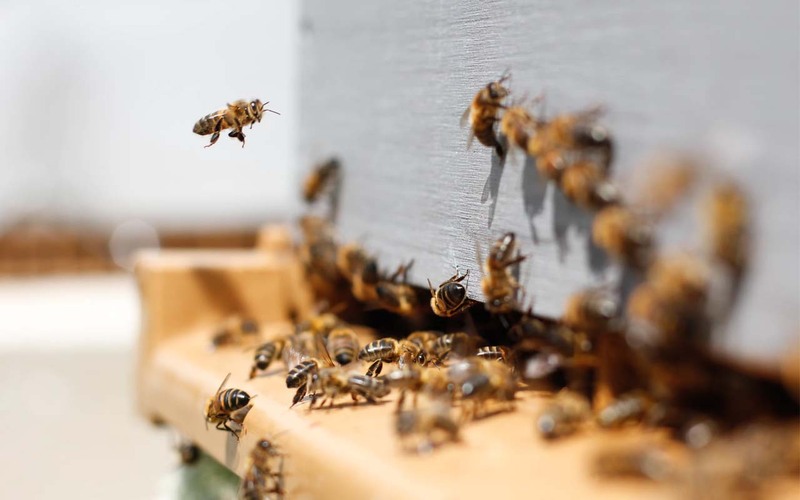 While most beekeepers are in the business for the honey and the money, Freeman’s sole purpose is to help repopulate the overall bee population. His efforts might be just a small dent in the issue we are facing, but is a gentle reminder that we can all do something to save the bees and prevent them from going extinct. Next 10 Random Facts That Are Guaranteed To Make You Say “Whoa”!